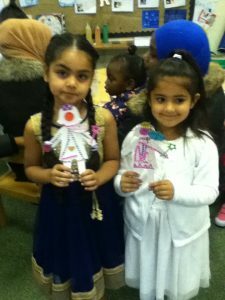 It has been Into Faith Week across St. Clement’s with every class focusing their learning on a specific faith or religion. 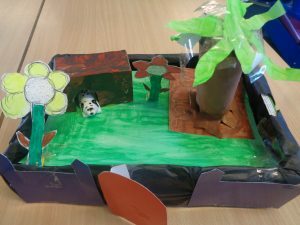 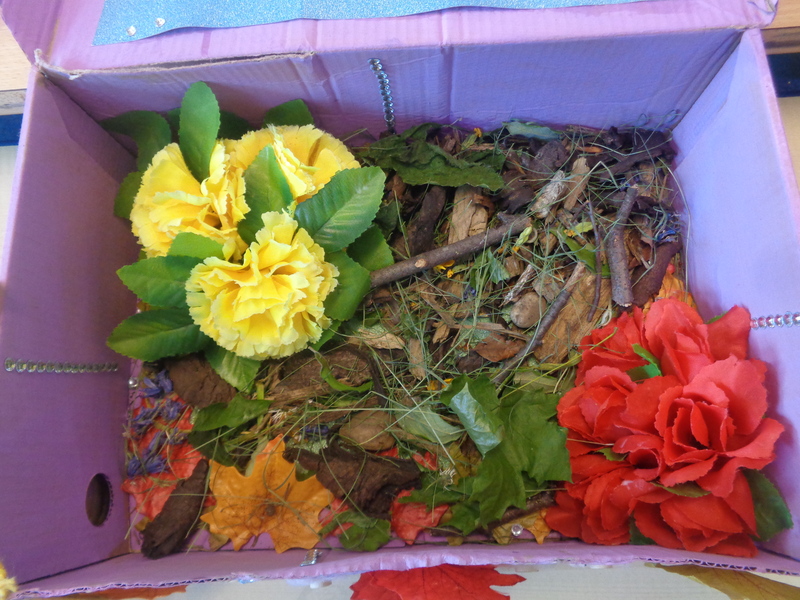 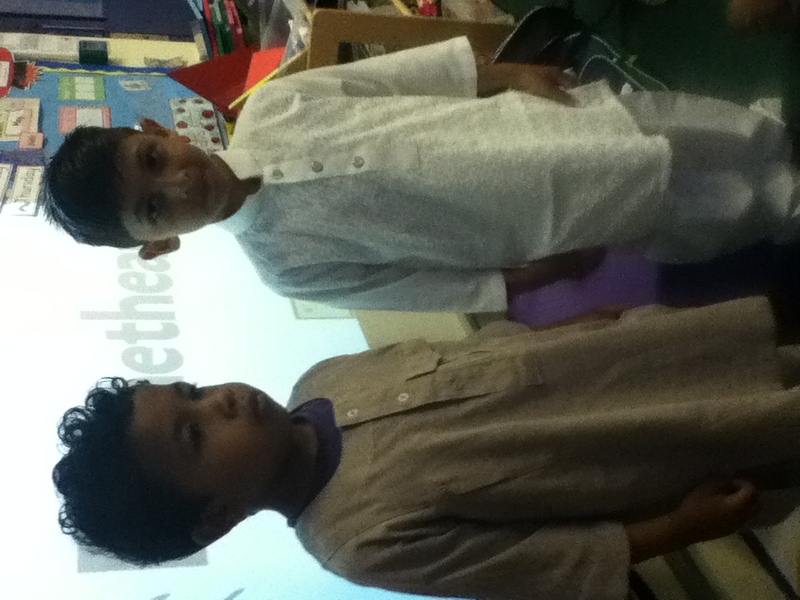 Year 3 have been learning all about Hinduism. Before writing non- chronological reports, Year 3 had to read and research the necessary information and create their own plan with sub headings. 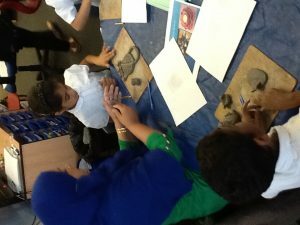 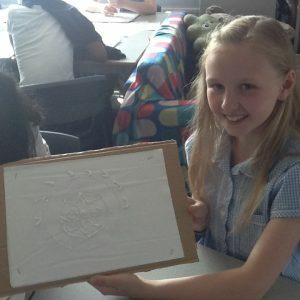 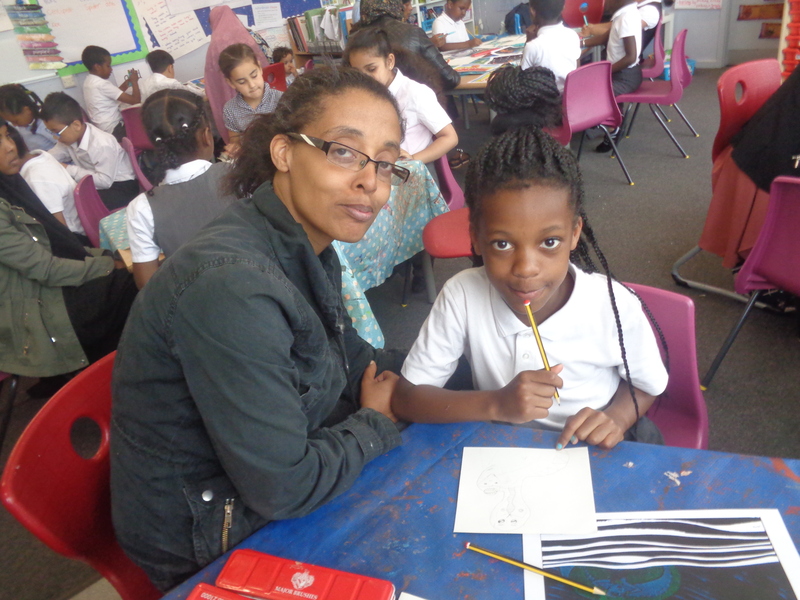 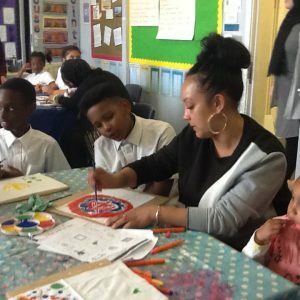 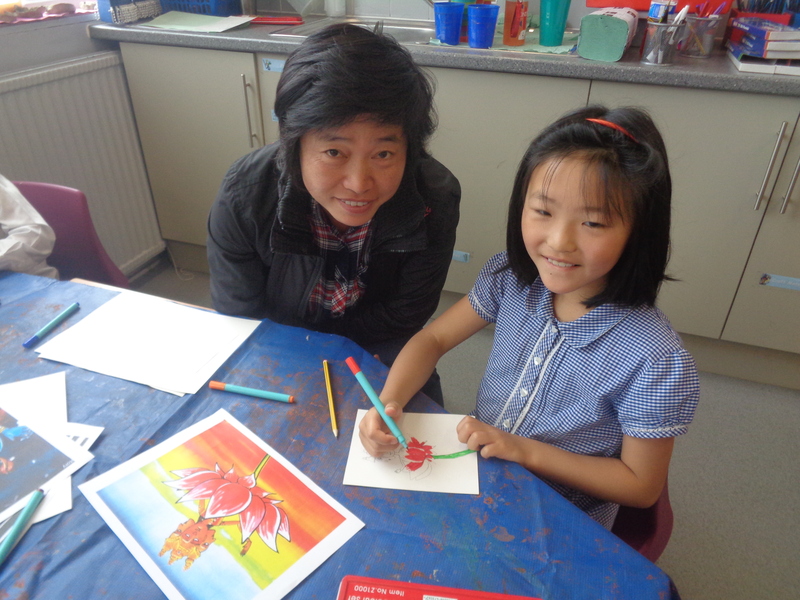 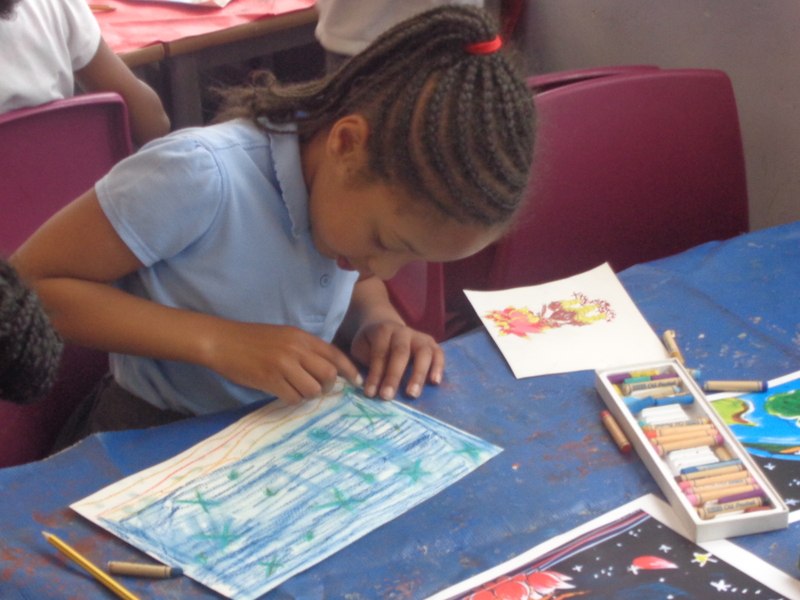 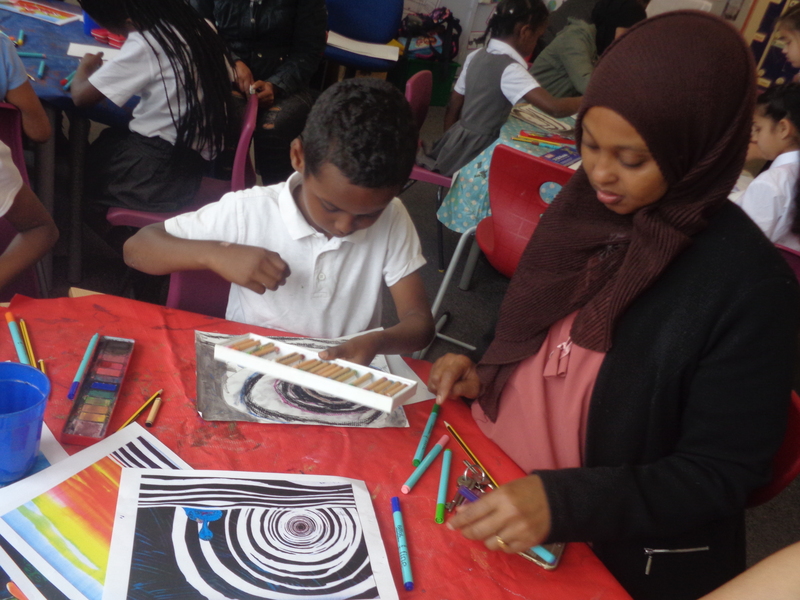 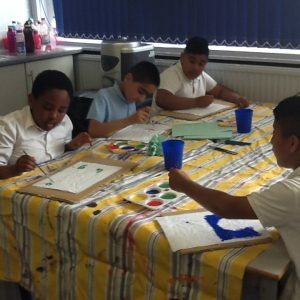 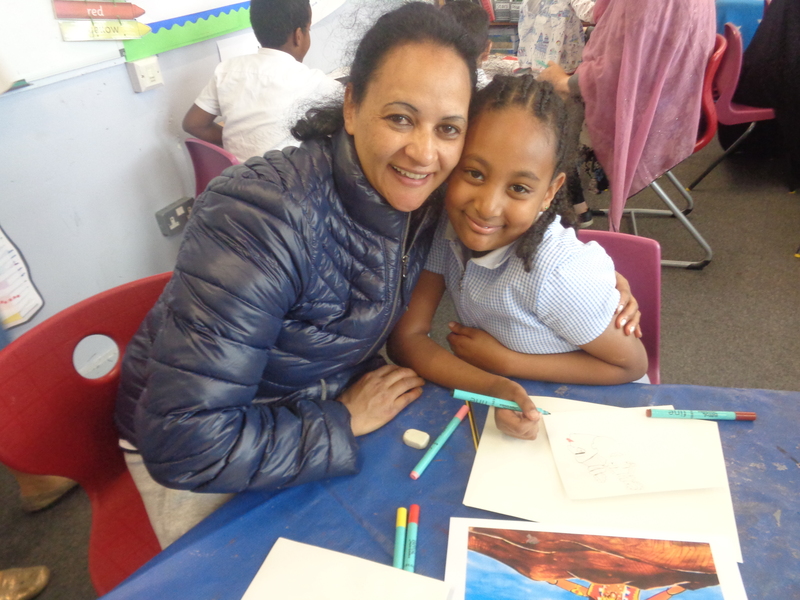 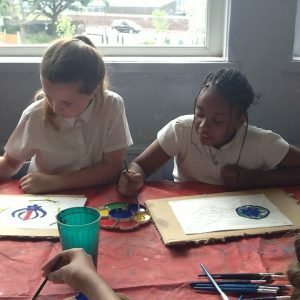 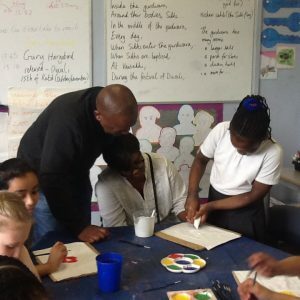 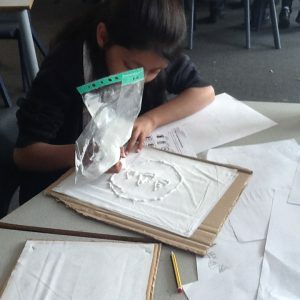 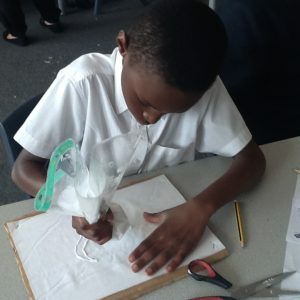 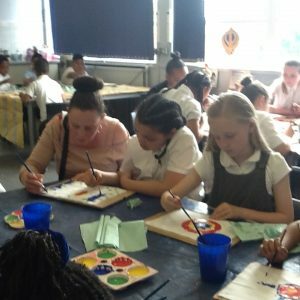 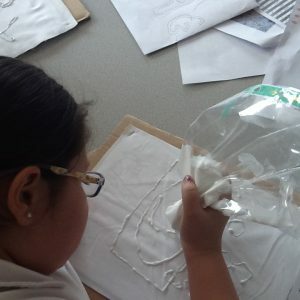 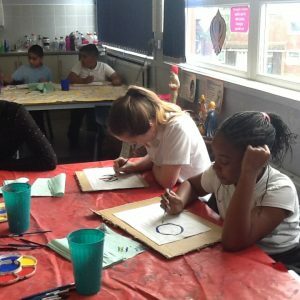 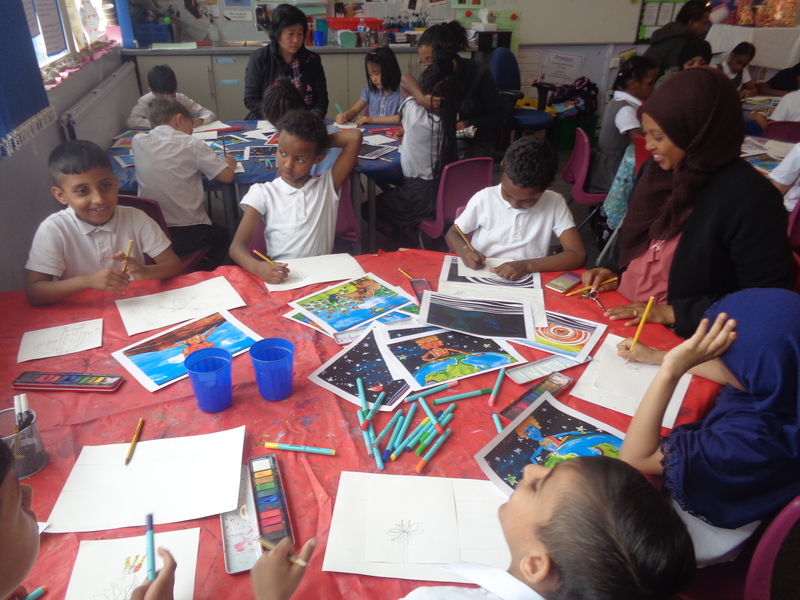 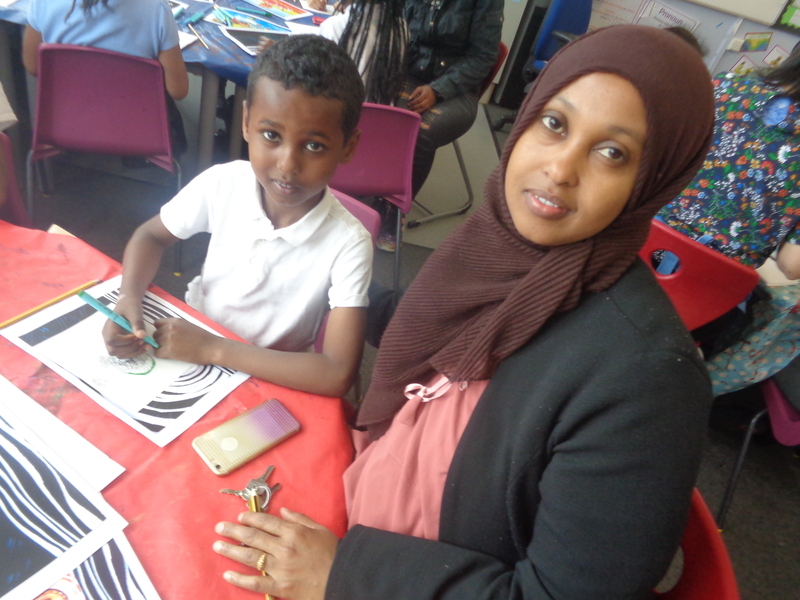 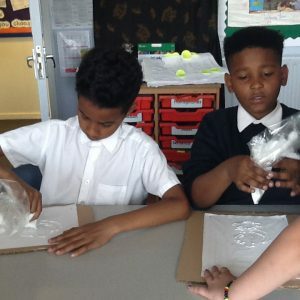 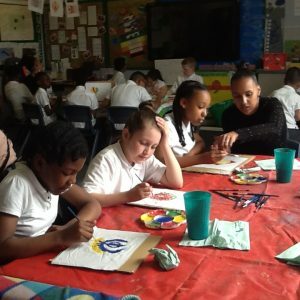 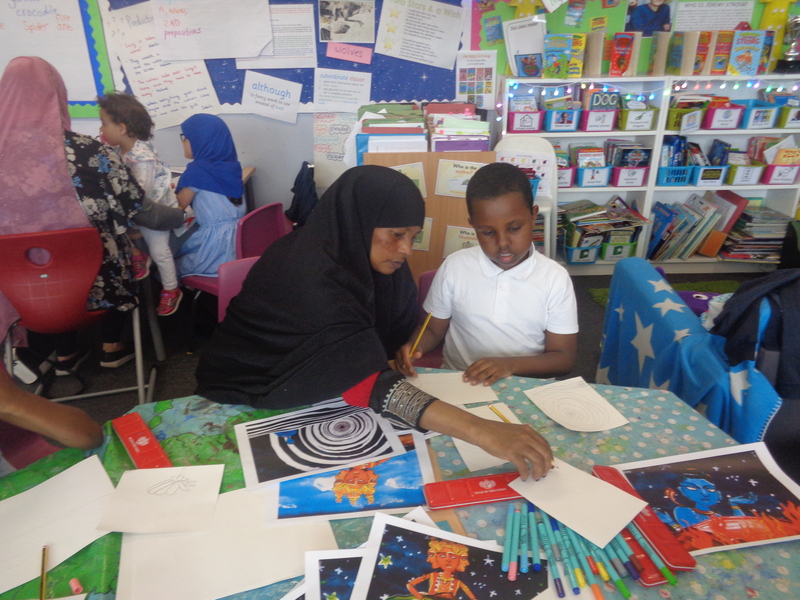 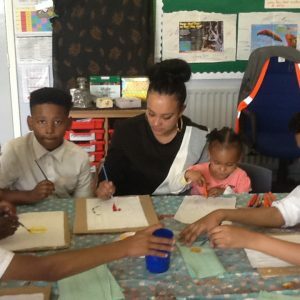 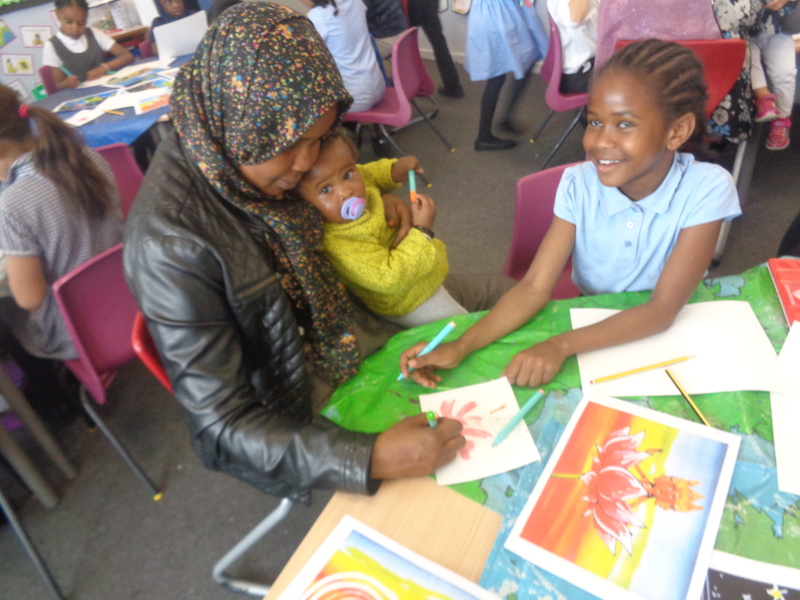 On Thursday morning Year 3 welcomed their parents to support their learning in an art lesson. 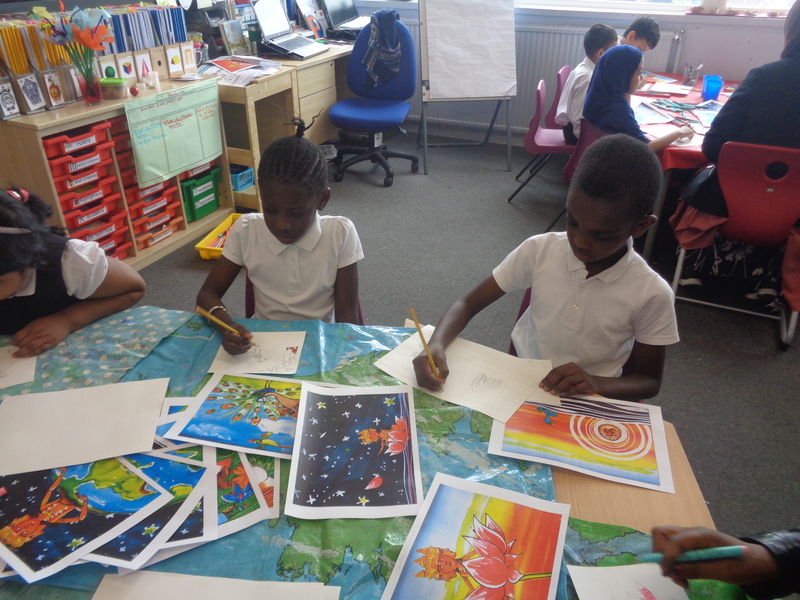 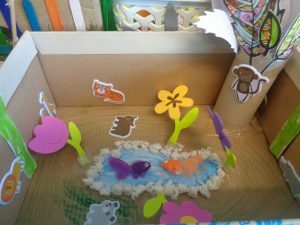 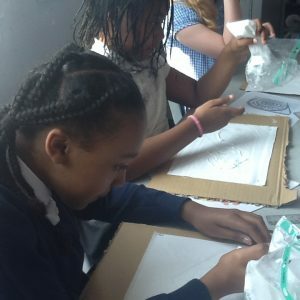 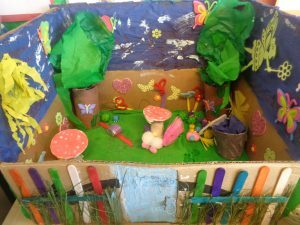 After finding out more about the Hinduism creation story, children worked to create their own images based on the animation. 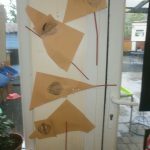 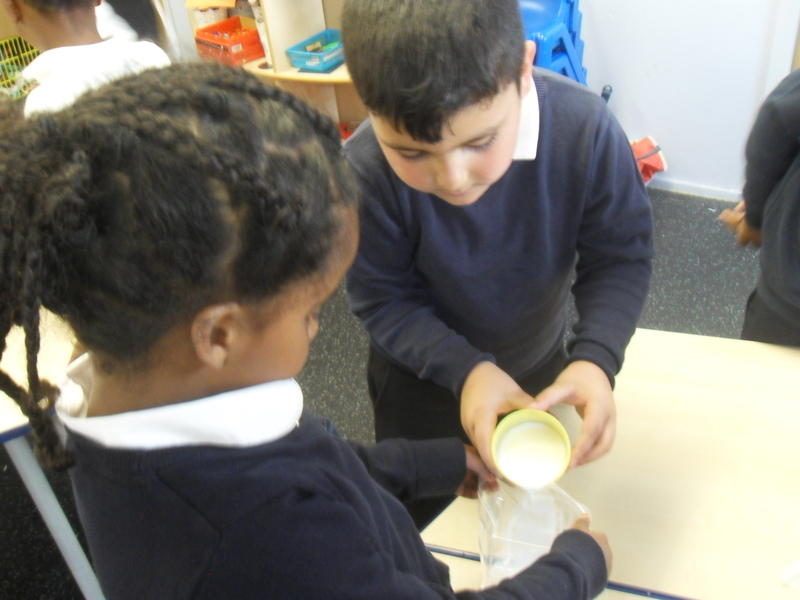 In Year 1 we have been learning all about Judaism. 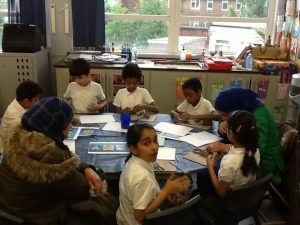 We wrote non-chronological reports and made posters about the ten commandments. 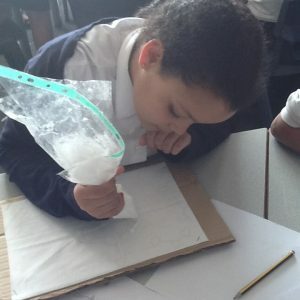 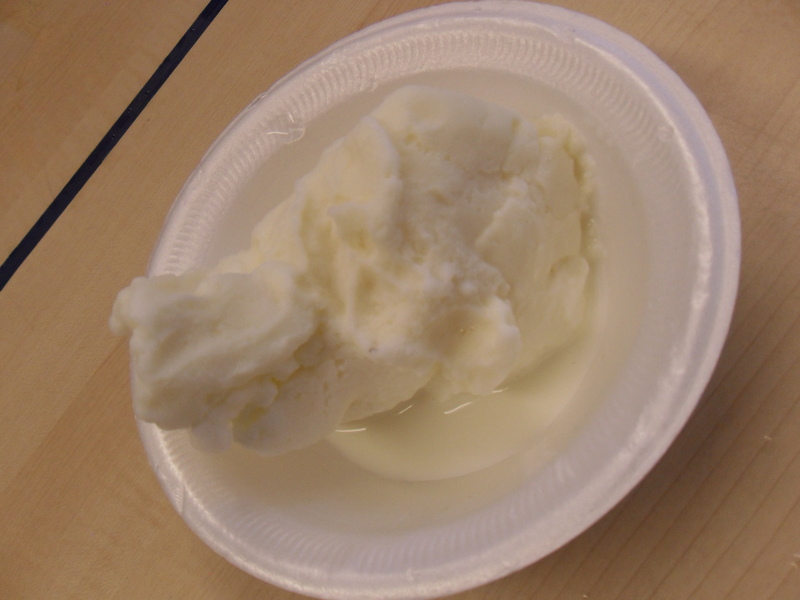 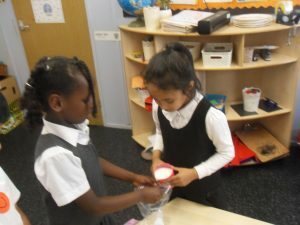 We also learnt about a special festival called Shavout and made ice cream out of bags! 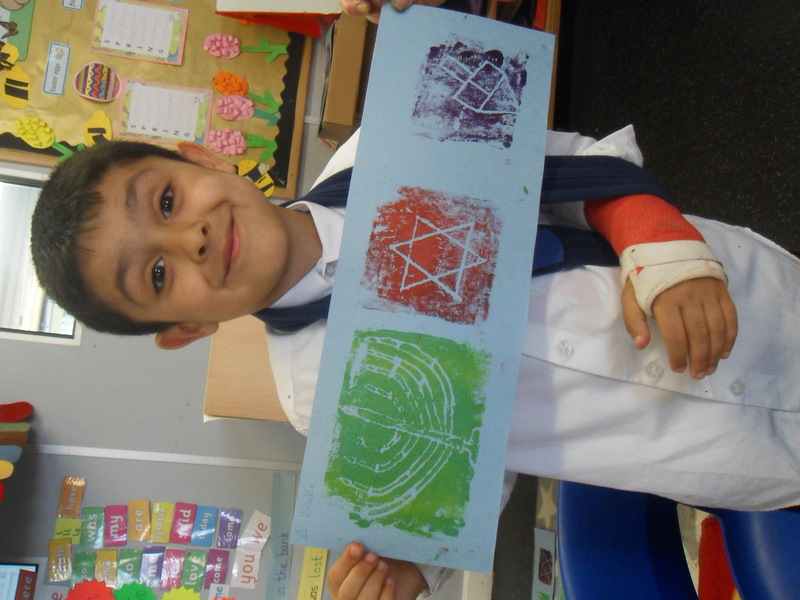 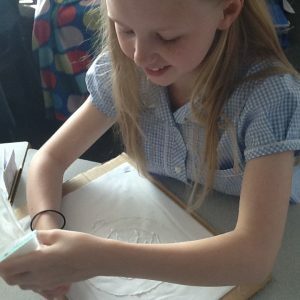 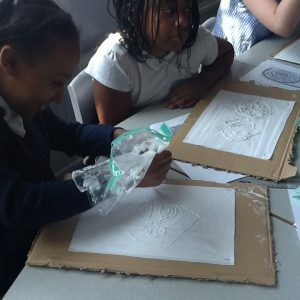 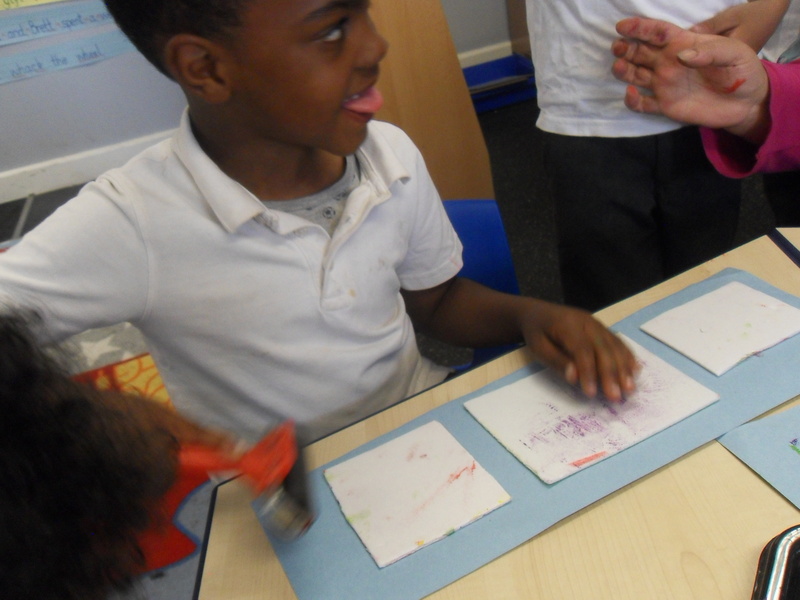 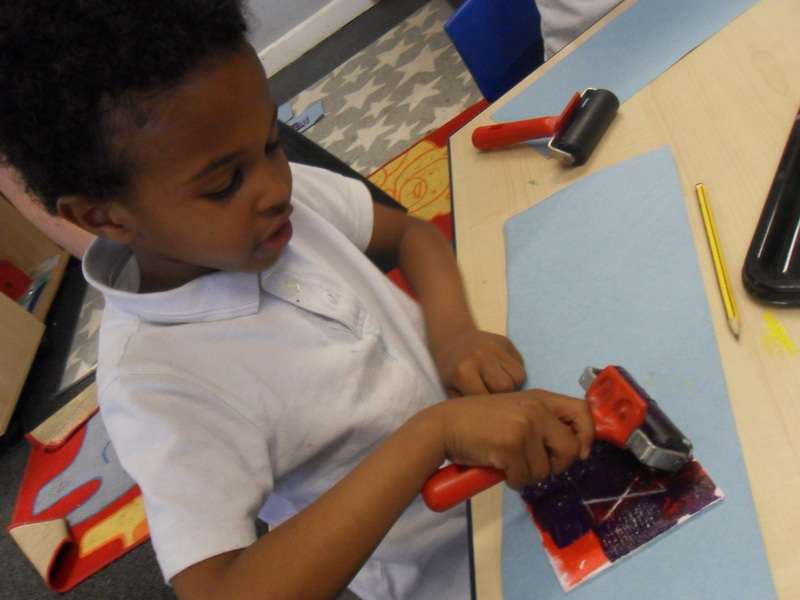 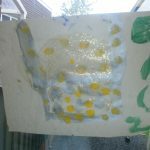 We really enjoyed printing in art, where we looked at different symbols that represent Judaism and used paint to transfer it onto paper. 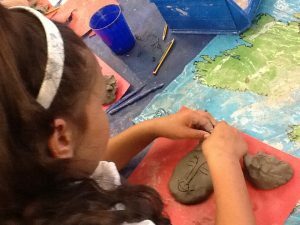 We have had a really fun week and look forward to adding all of our work into the Into-faith big book for you all to see! 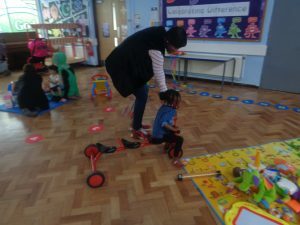 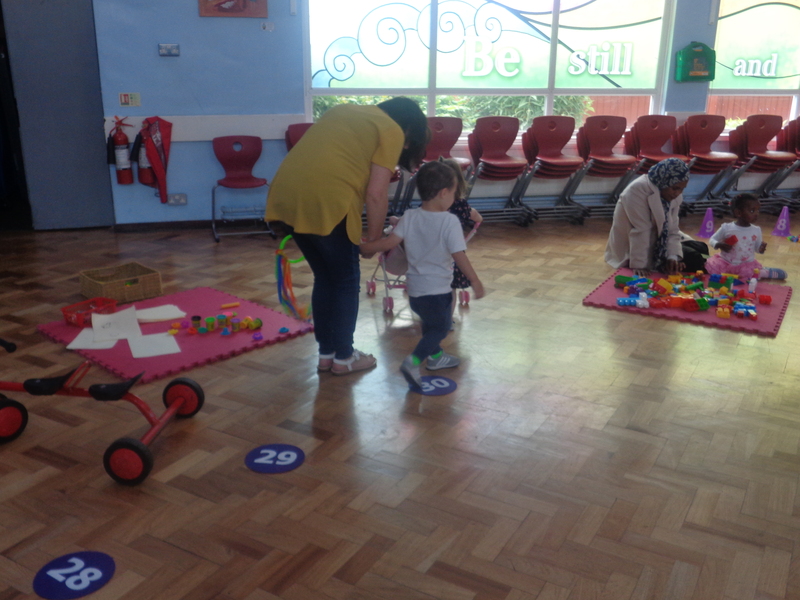 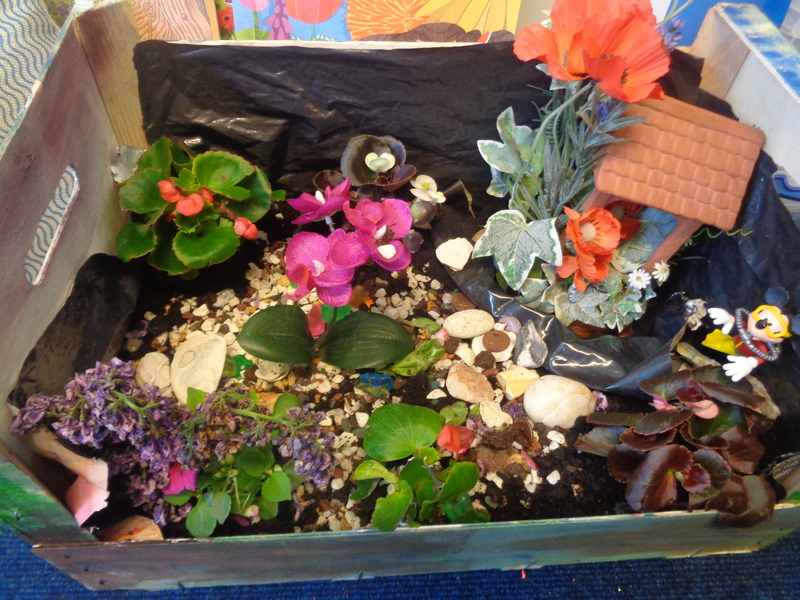 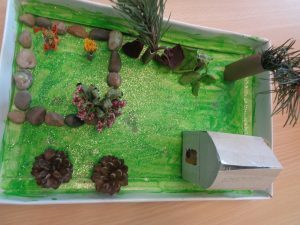 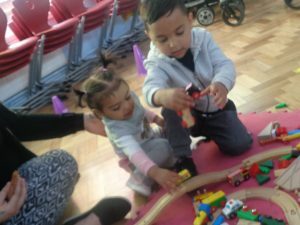 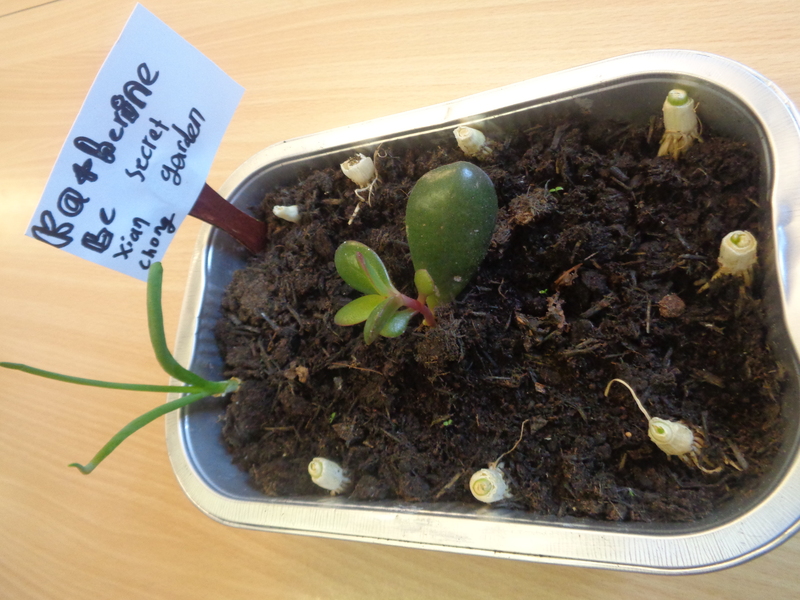 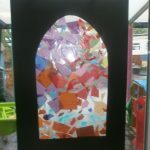 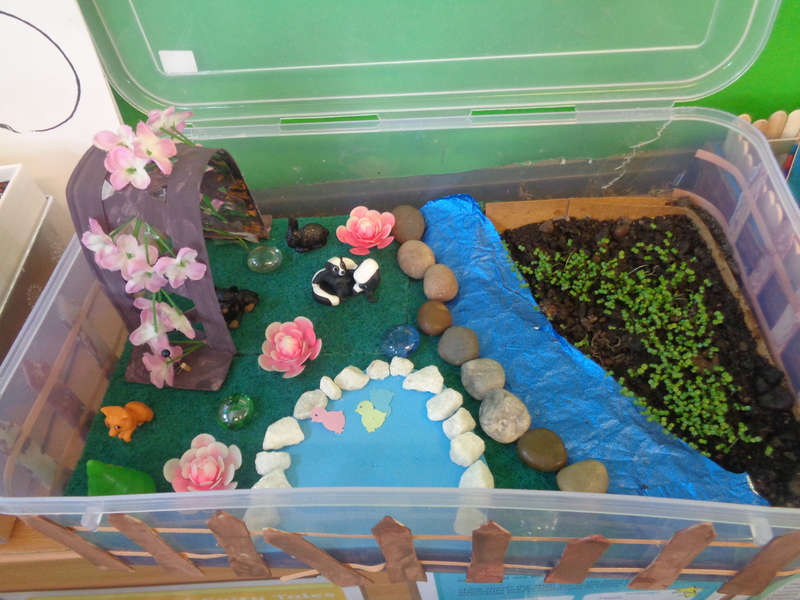 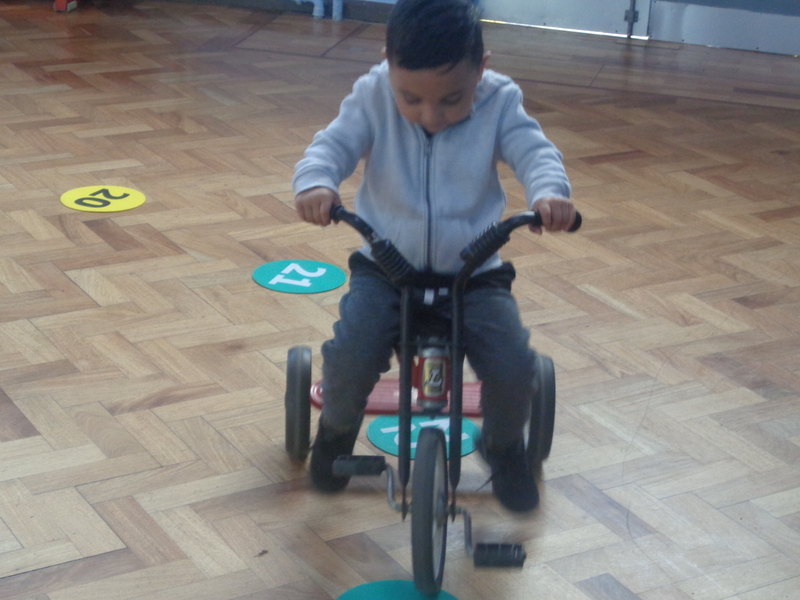 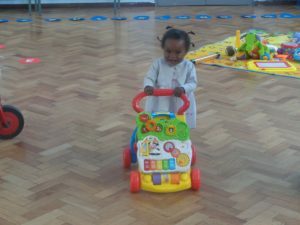 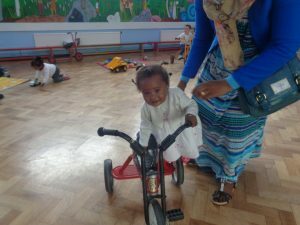 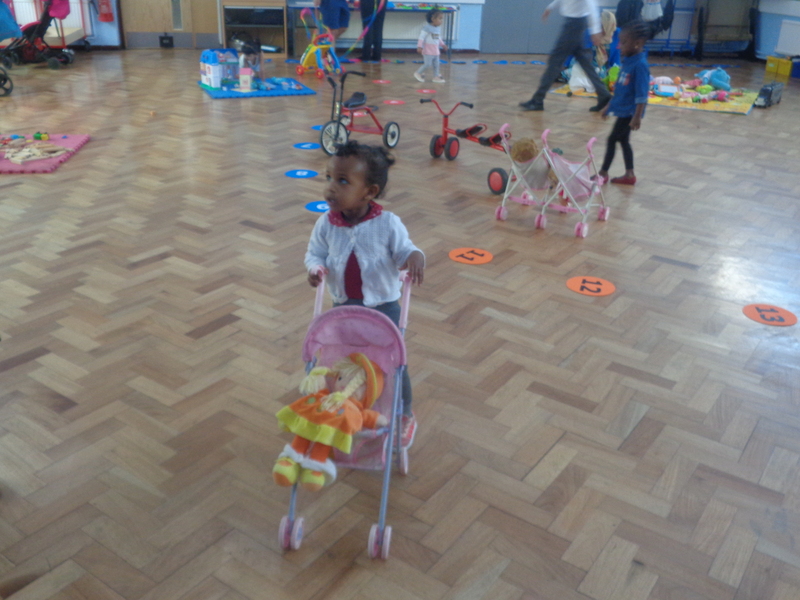 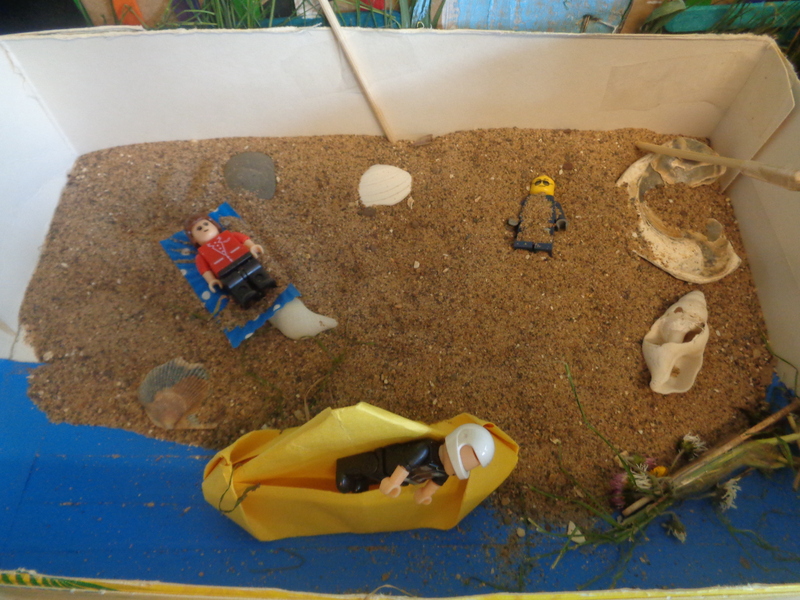 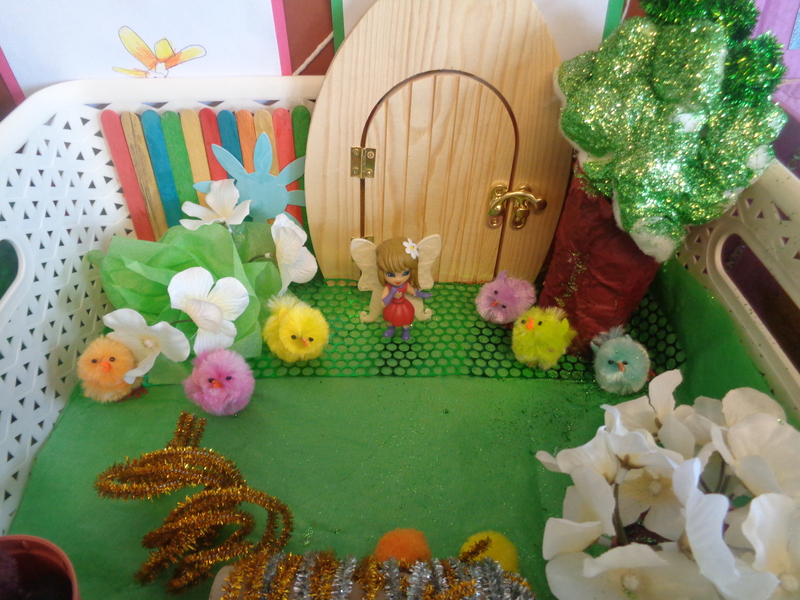 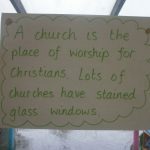 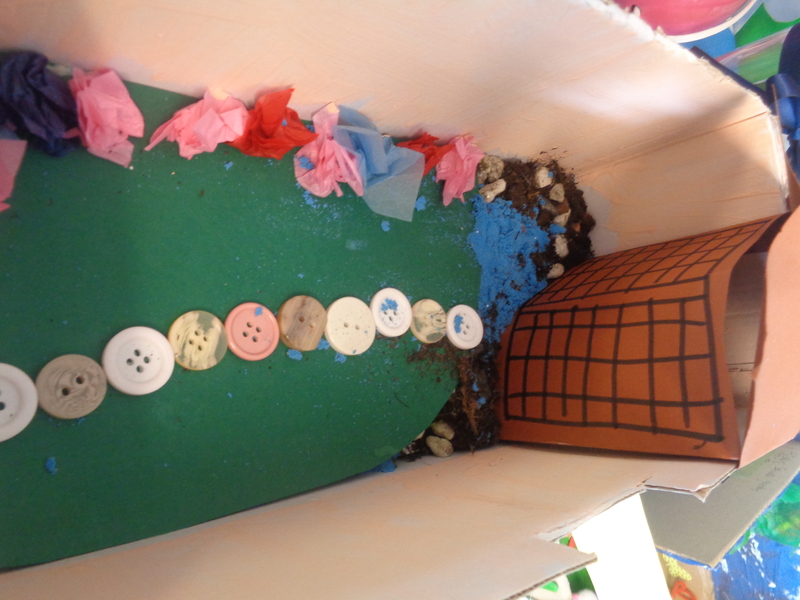 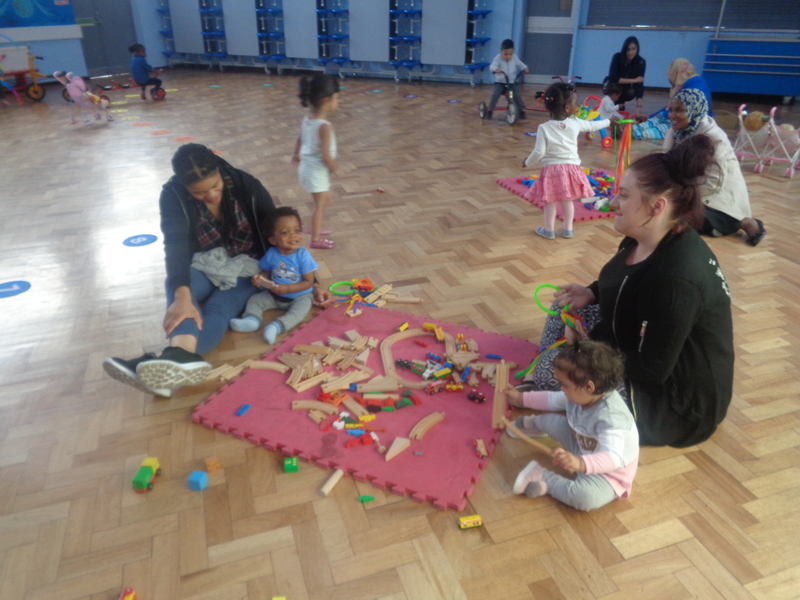 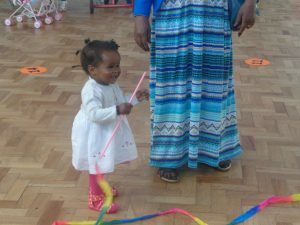 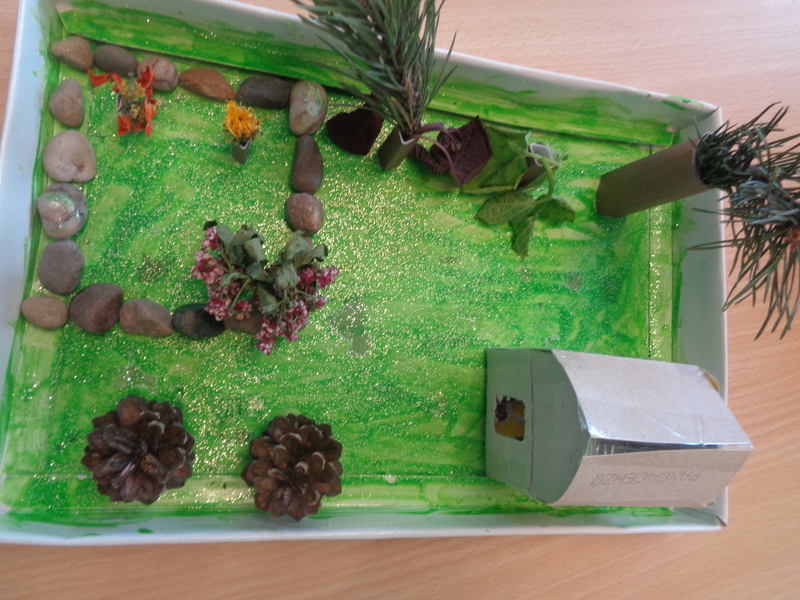 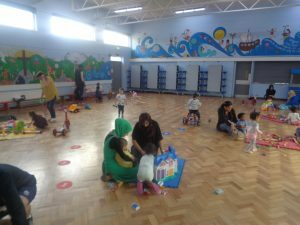 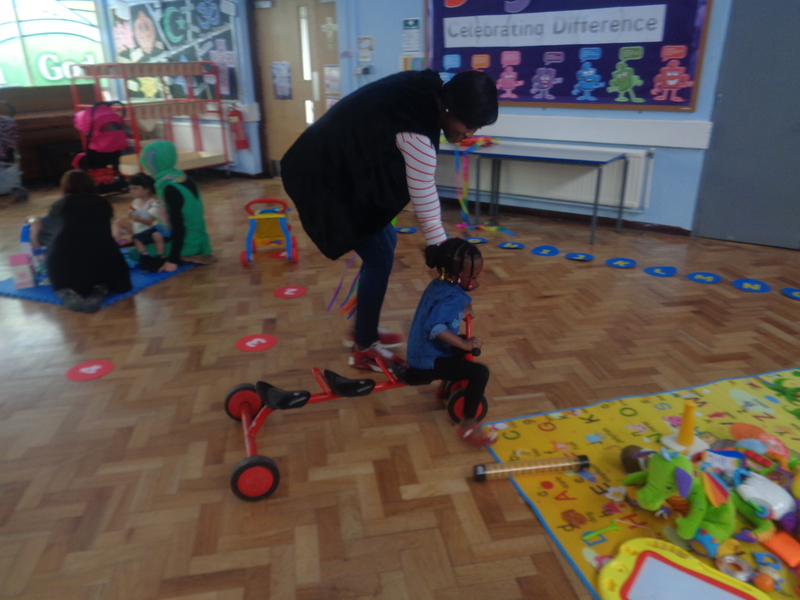 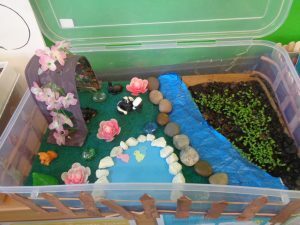 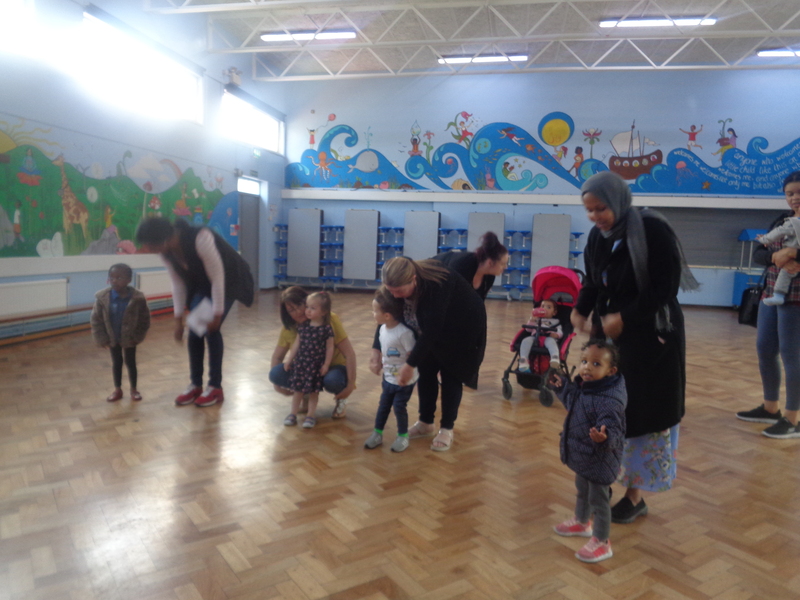 During Into Faith week Nursery have been finding out about different places of worship. 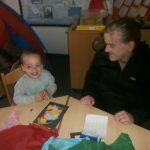 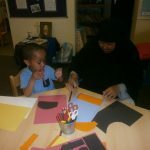 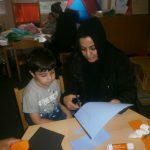 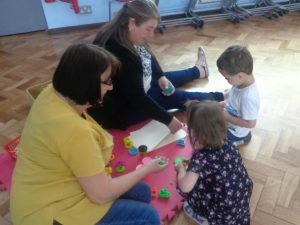 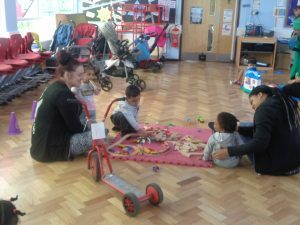 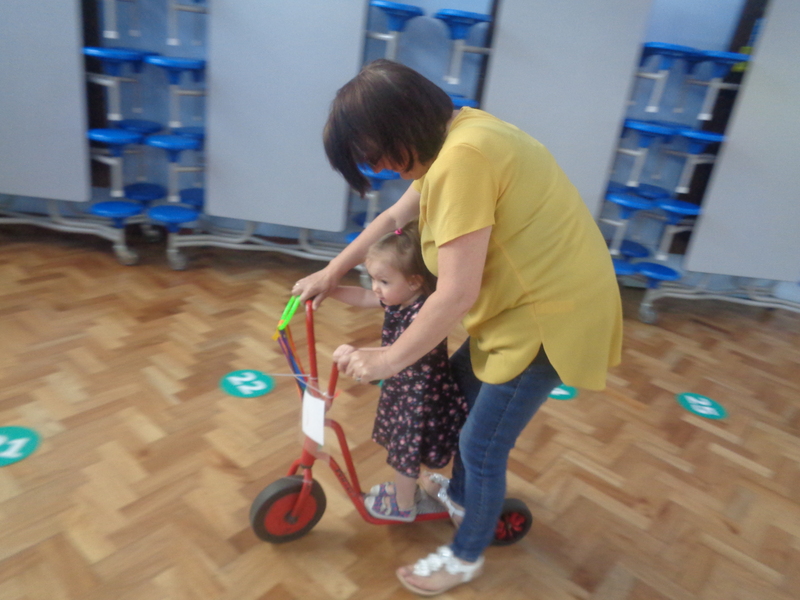 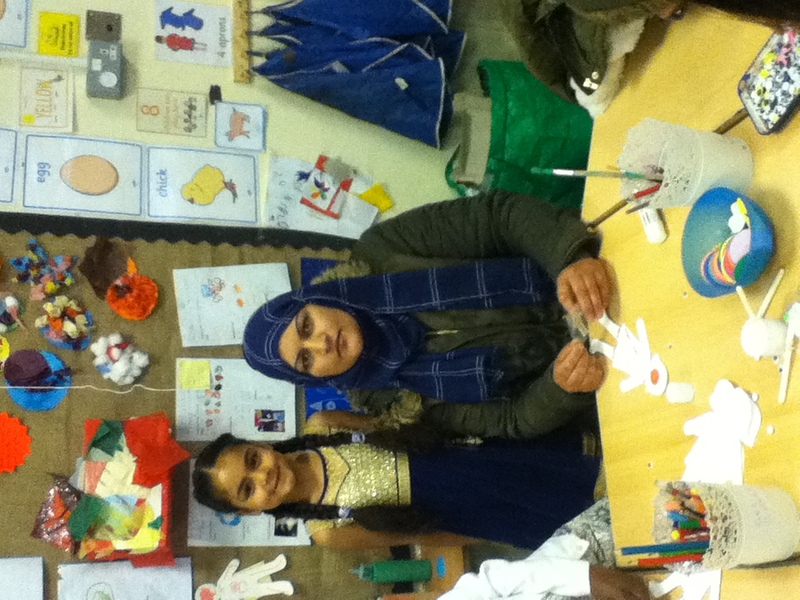 On Friday we wore our celebration clothes and our parents joined us for some craft activities. 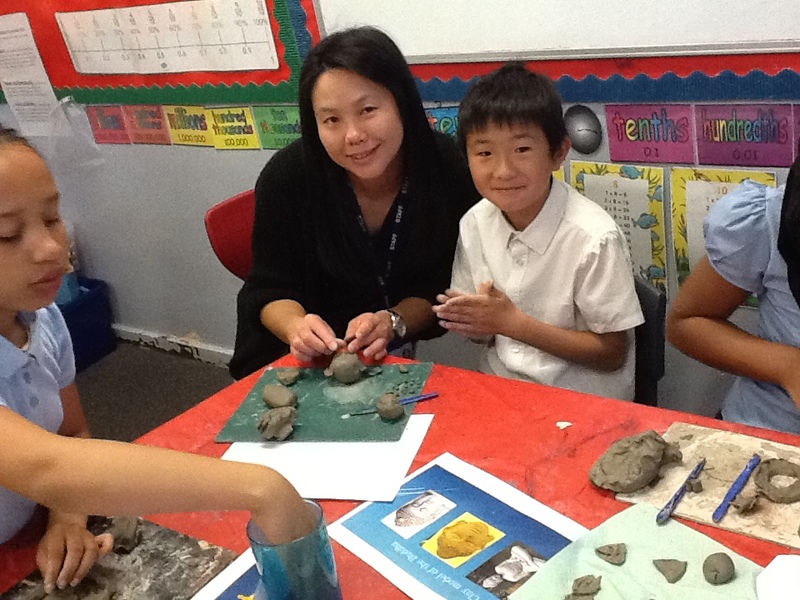 During Into Faith Week Year 4 have been learning all about Buddhism. 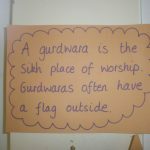 We have researched how Buddhist worship and meditate inside temples all over the world. 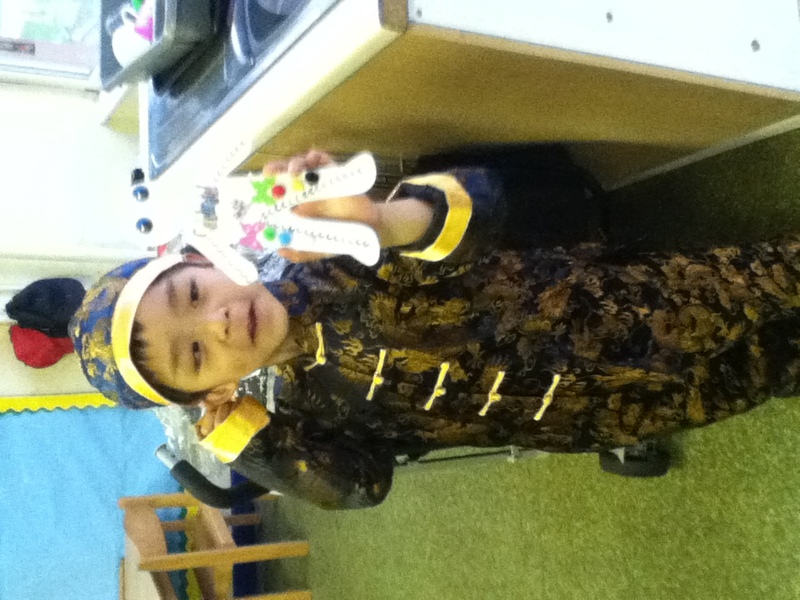 We have looked at different symbols and artifacts that Buddhist use to remind them of their teacher the Buddha. On Friday we invited our parents in to help us create different symbols and artifacts from Buddhism. 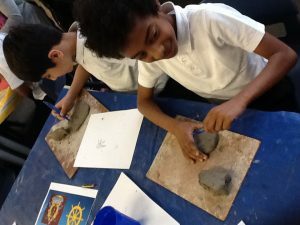 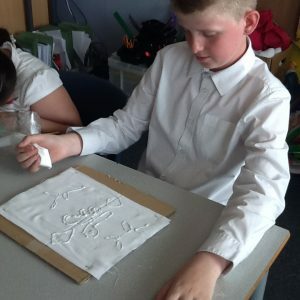 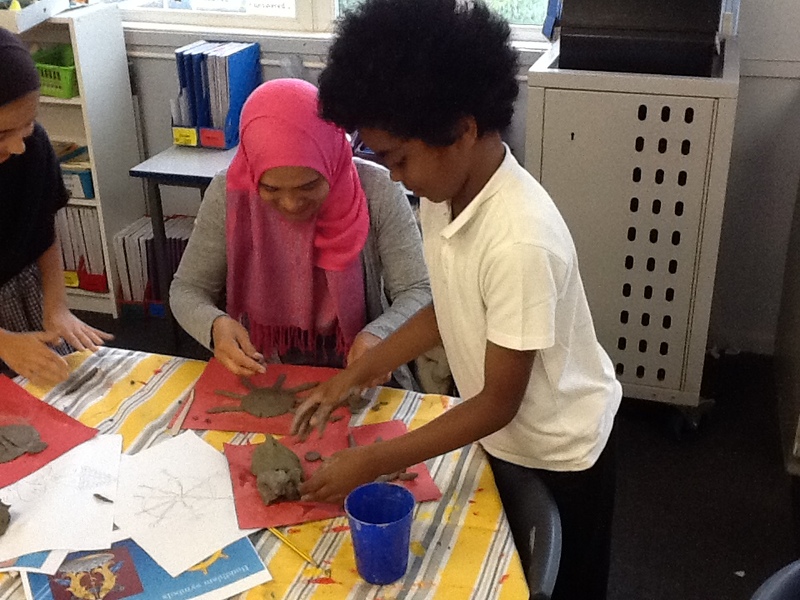 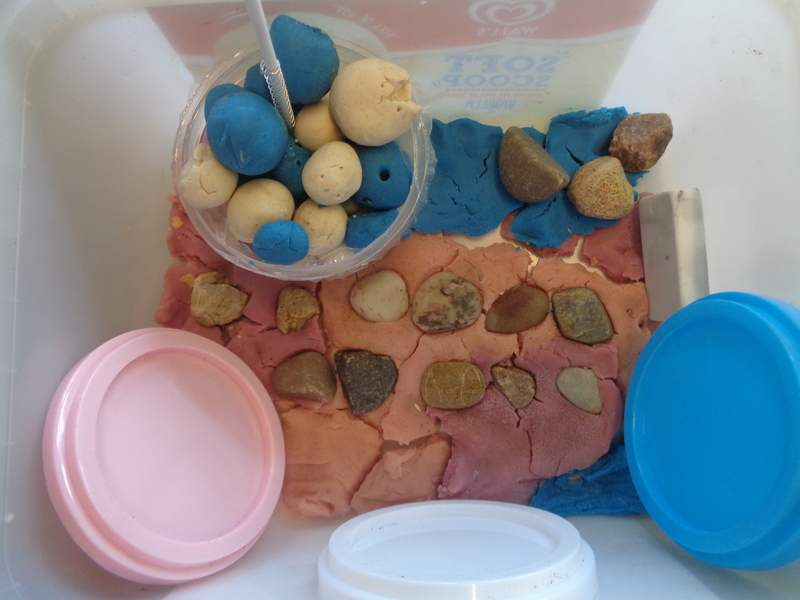 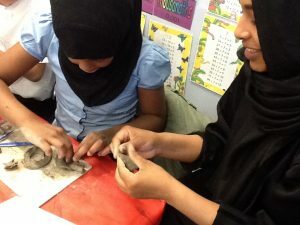 We used clay to make our own designs of the Buddha, Wheel of Life and the Lotus flower. 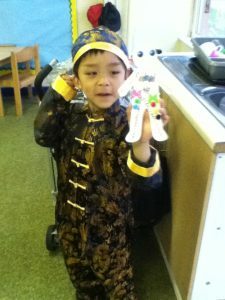 Dress up day in Reception! 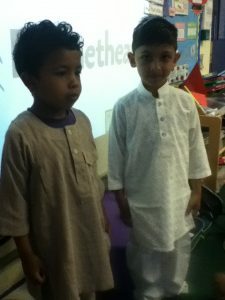 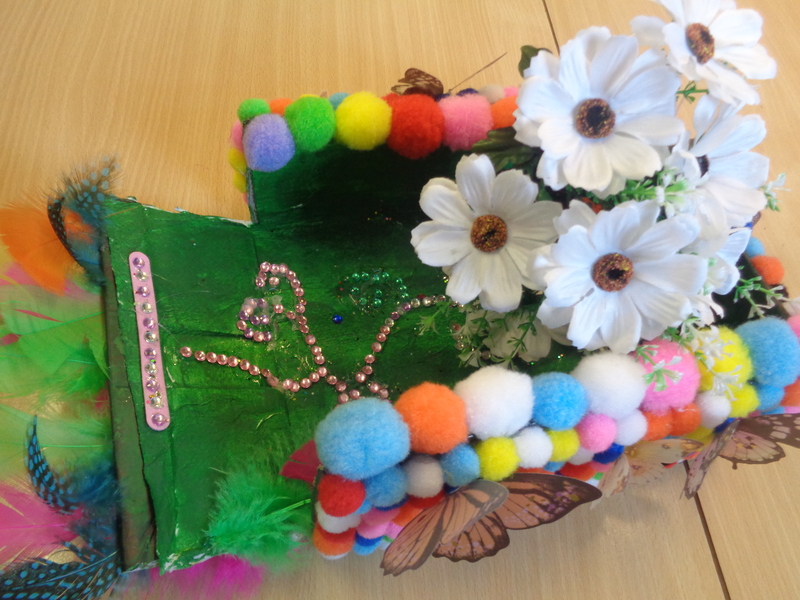 During ‘Into Faith Week’ we have spoken all about us and what makes us special. 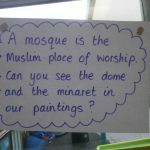 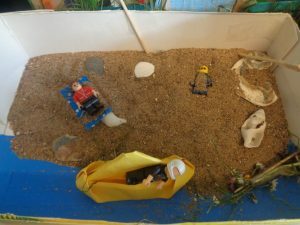 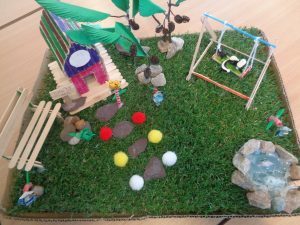 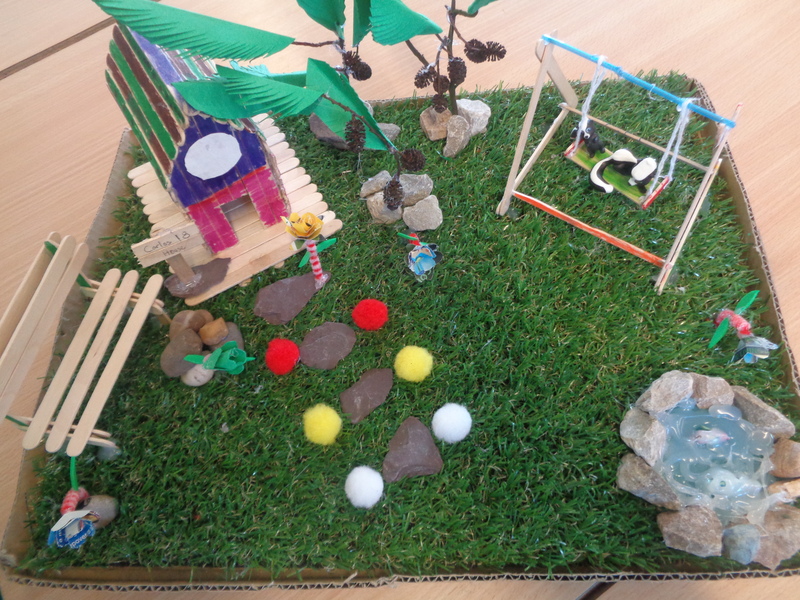 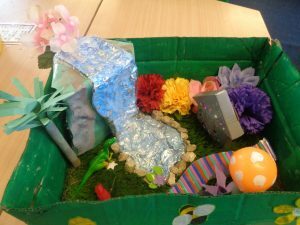 The children have spoken about their religion and faith. 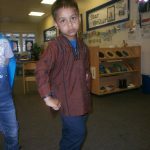 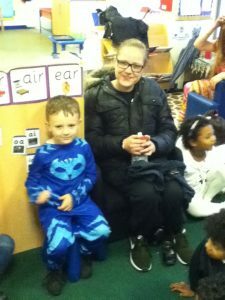 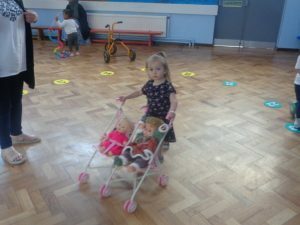 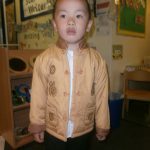 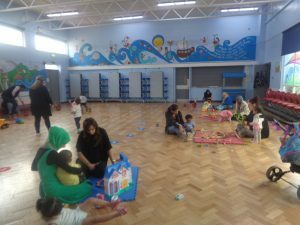 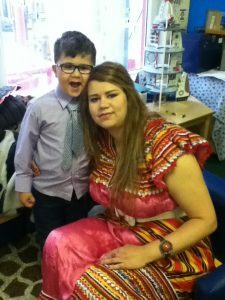 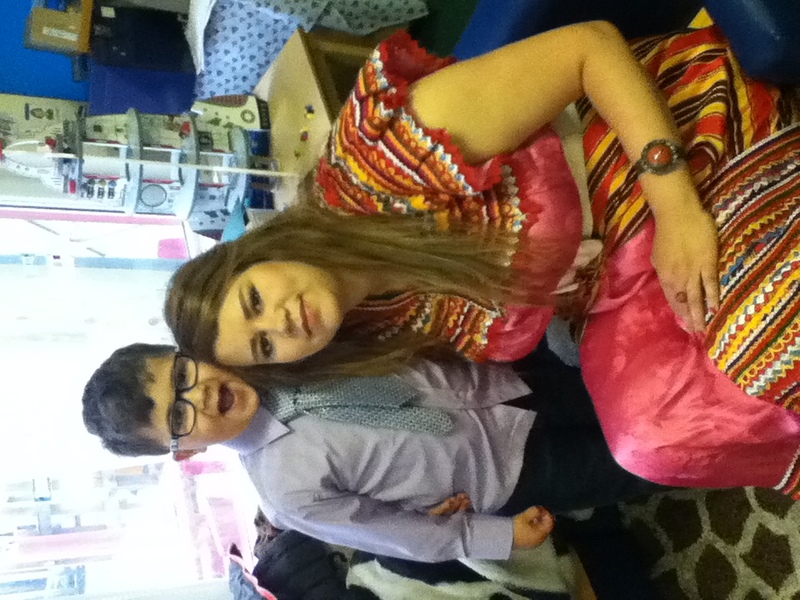 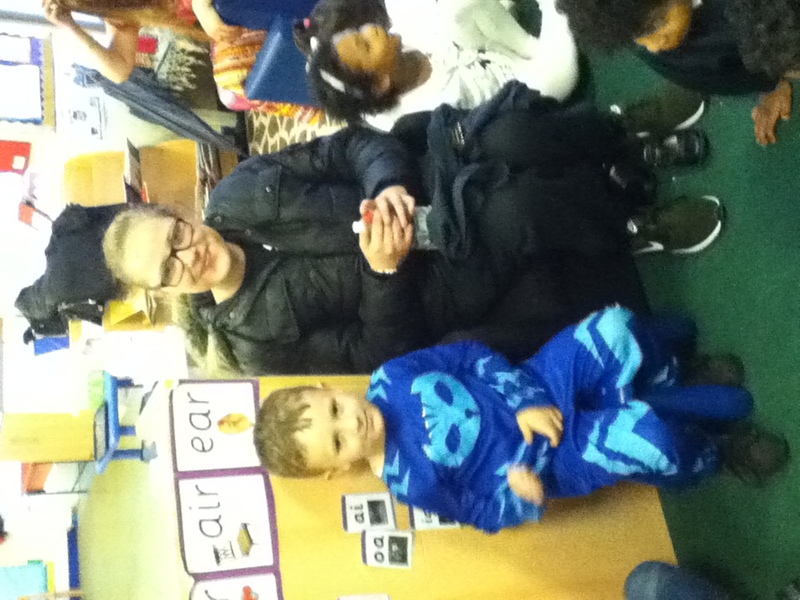 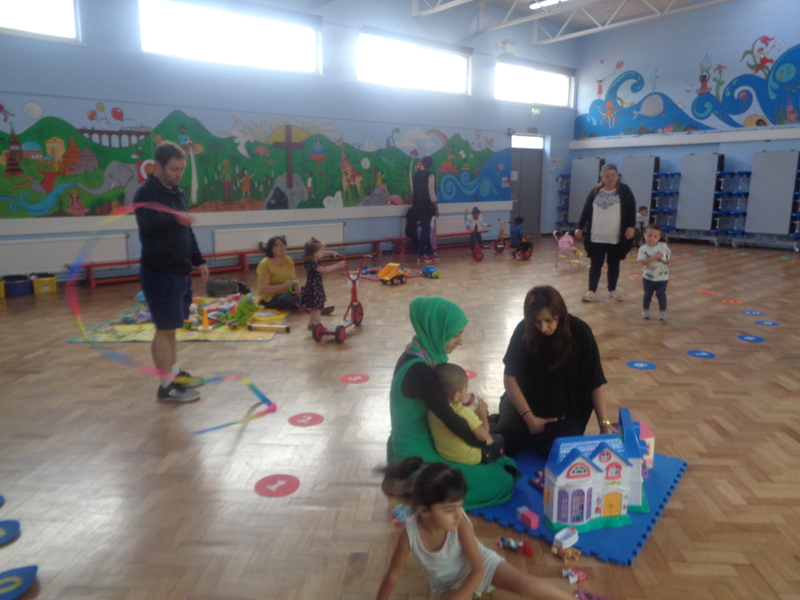 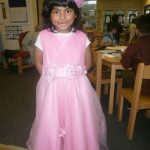 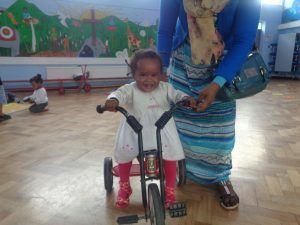 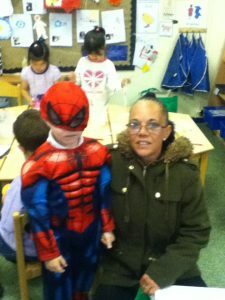 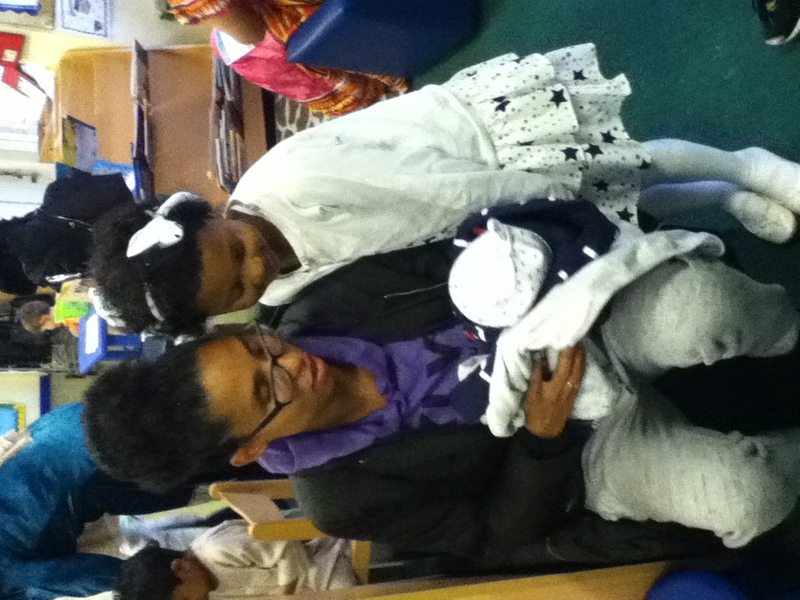 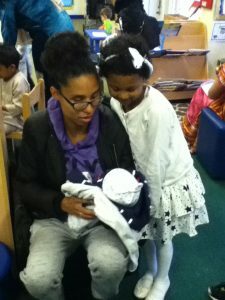 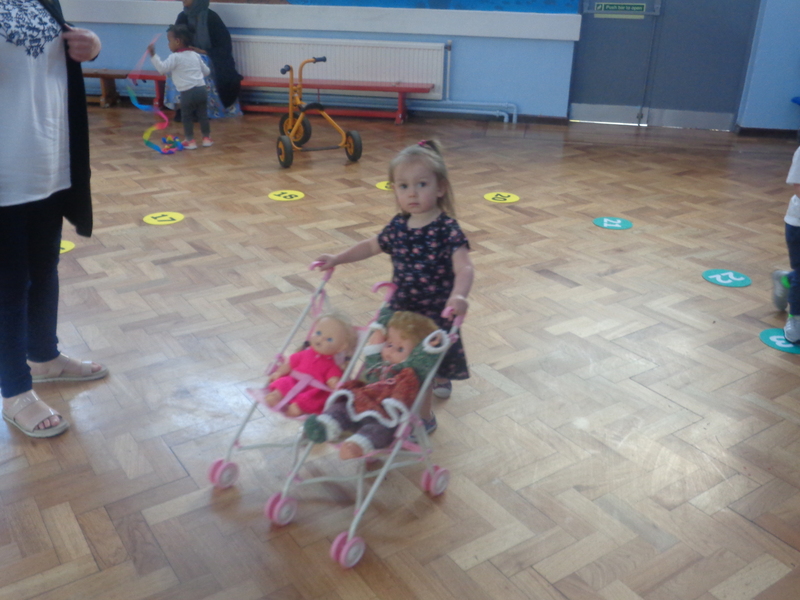 On Friday, we had a dress up day where the children and some parents wore their special clothes. 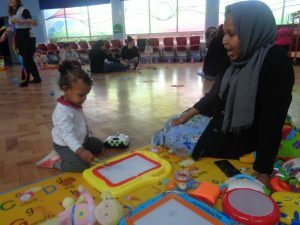 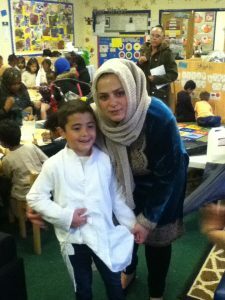 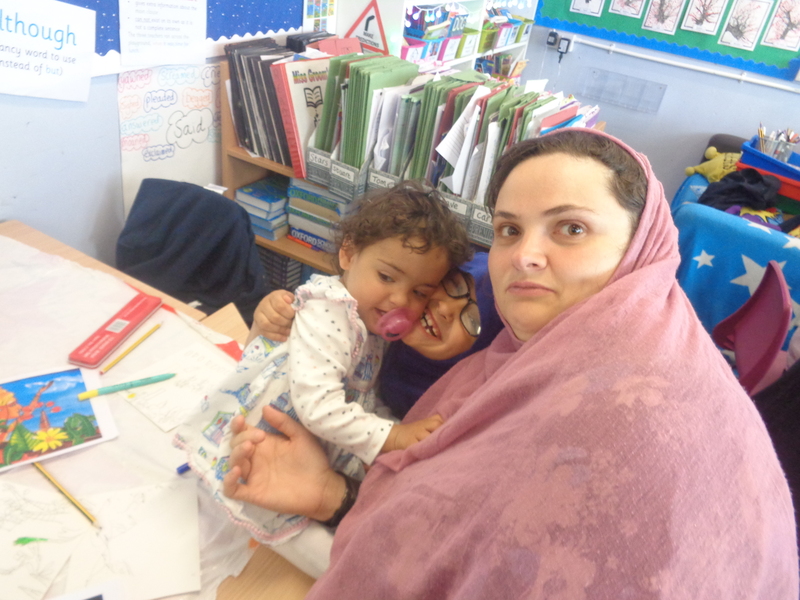 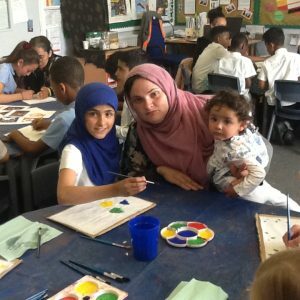 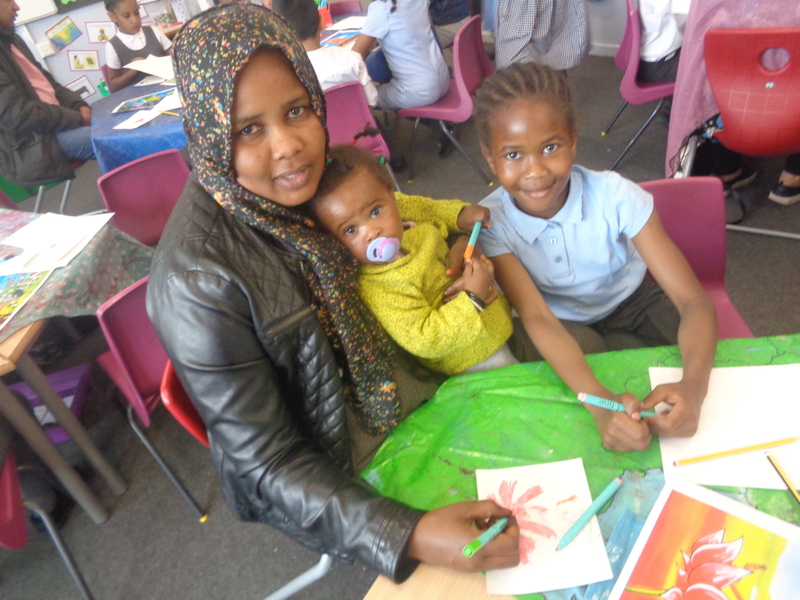 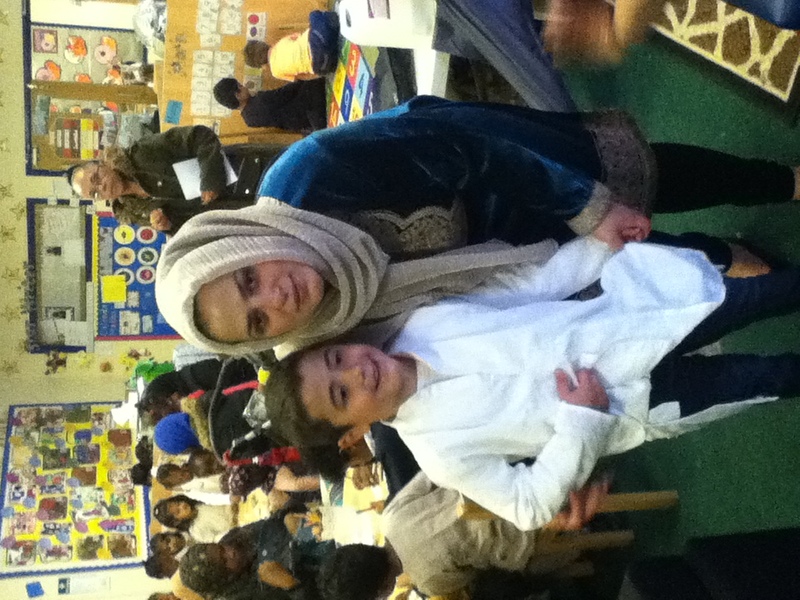 Parents and carers joined us for a craft morning and spoke about their traditional clothing and their faith. During Intofaith week, Year 5 studied Sikhism. 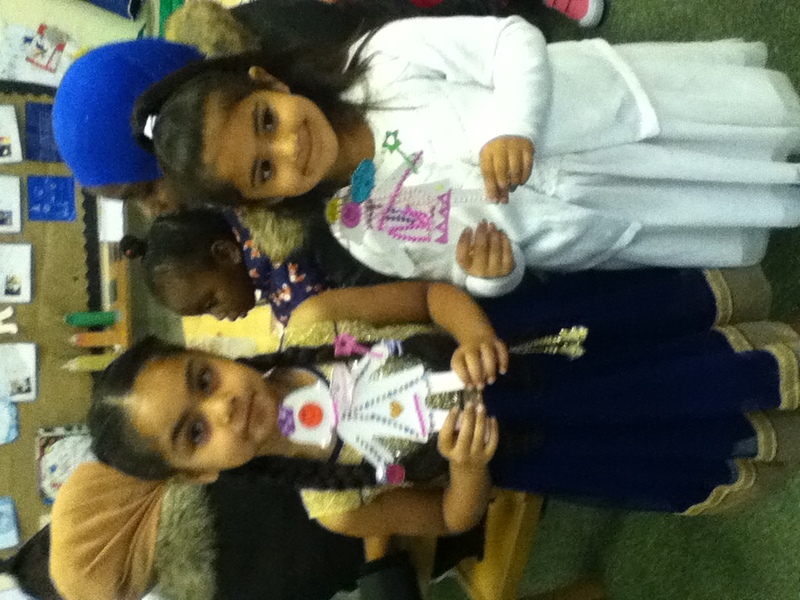 As part of this, w e looked at the importance of the Sikh symbol , the Khanda. 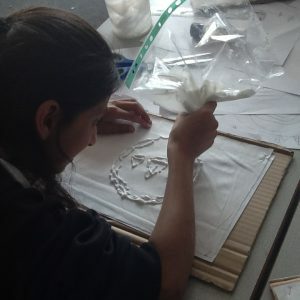 We designed our own batik using this symbol and designs commonly found in the art in gurdwaras. 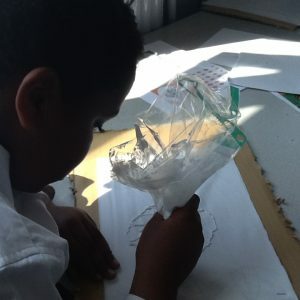 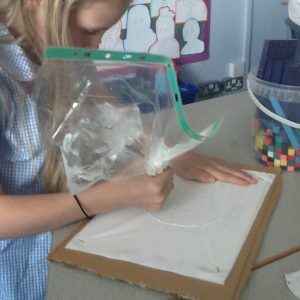 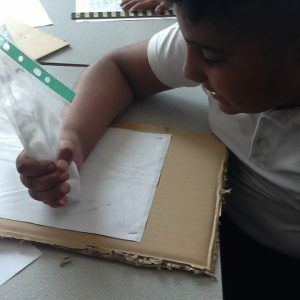 First, we drew our design and then piped on a mixture of toothpate and hand lotion to cover the lines. 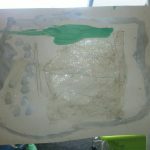 This would act as a resistor when adding the paint. 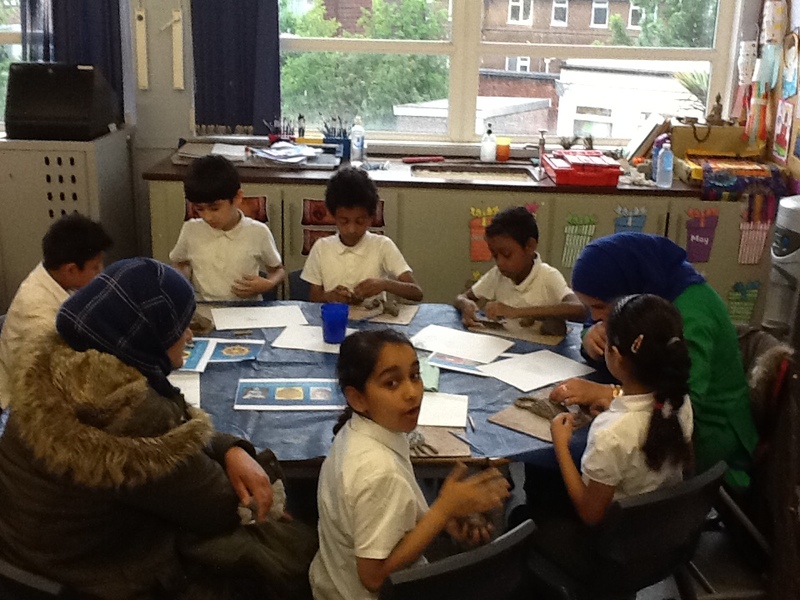 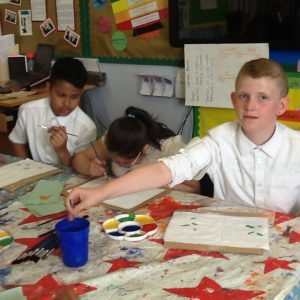 Parents joined us for the second stage when we painted our designs. 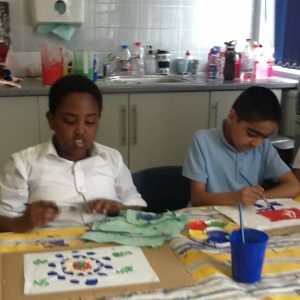 When the paint dries, we wil wash off the toothpaste mixture to reveal the finished batik. 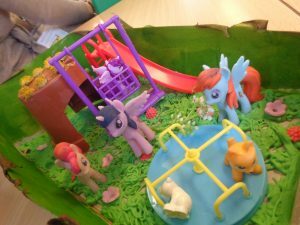 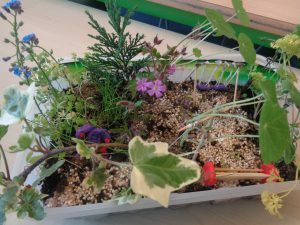 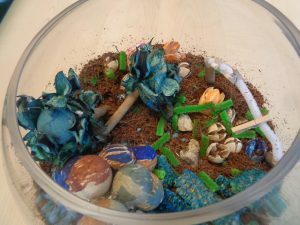 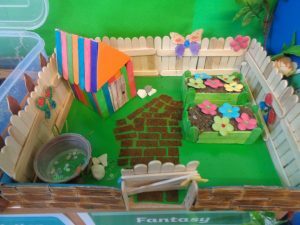 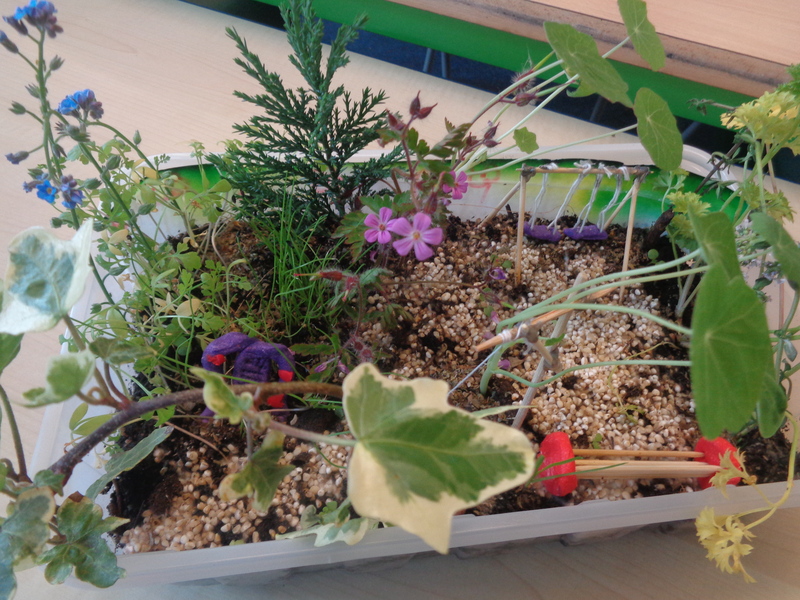 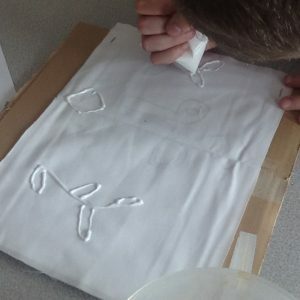 Keep reading our blog to see the finished product. 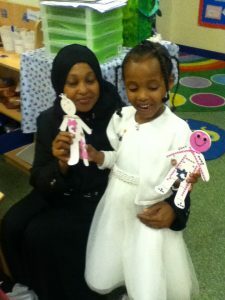 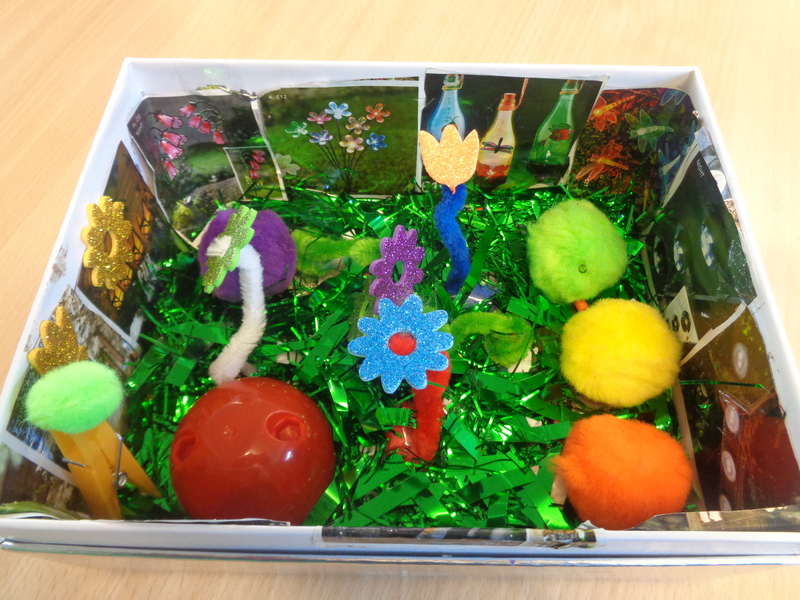 In talking partners children had to think about people who are special to them in their family or heir friends. 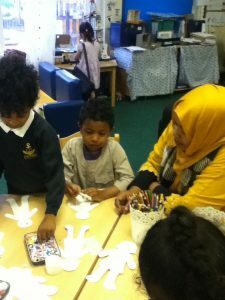 Then I asked the children in pairs to come up with as many words as they can to describe family relationships and friends : e.g son, daughter, Mum, Dad, cousin, friend, mate, etc. Shared ‘The jigsaw charter’ with the children to reinforce how we work together. 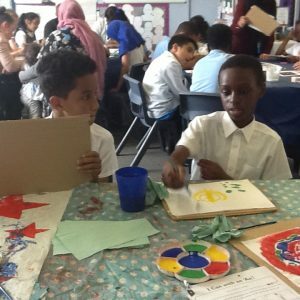 At the beginning of every jigsaw lesson we help our minds calm down so that we are ready to learn. 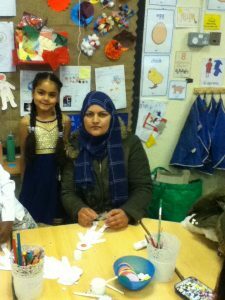 We sang the jigsaw song ‘Learning together’ and I asked the children while they were singing to think about the people that are special to them. 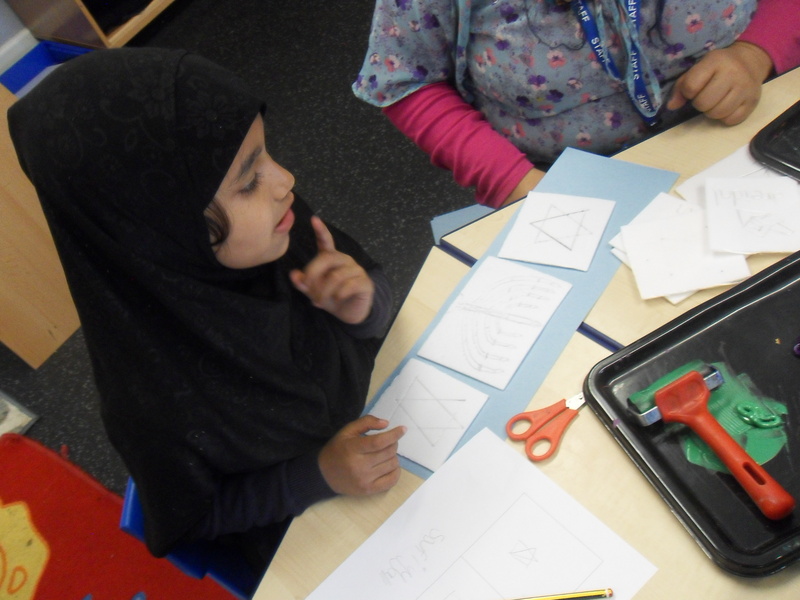 I showed the children the set of relationship circles with different headings in each circle. 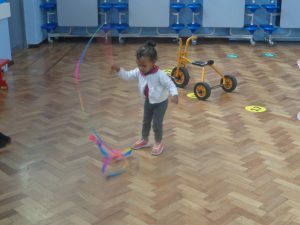 I put myself in the middle of the circle and explained that they are going to write some of the people with whom they have relationships in the circles, according to how close they are to these people and how important they are to them. Those they are close to will be near the middle and those they are not so close to will be towards the other circles.